There's still time to participate in Color Challenge 76! Remember, you don't have to have the EXACT colors to play - just use colors inspired by the ones you see below. This challenge features Steel Blue, Ripe Raspberry, Tropical Teal, and Cornflower. Olga's fresh and bright look features a colorful sailboat from You Float My Boat grounded by a Whimsical Waves Background. The multi-step stamp featured in this collection makes it simple to add multiple colors to your images! 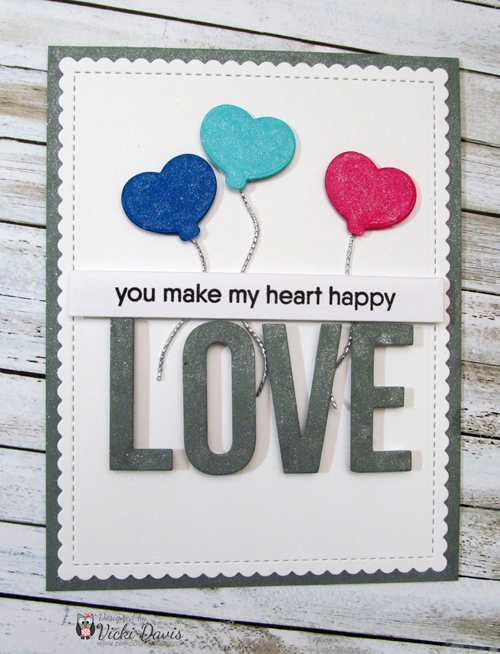 Balloons are the perfect starting point for introducing color to your cards and if you love love like we do, then the Heart-Shaped Balloon Die-namics is a must-have accessory! 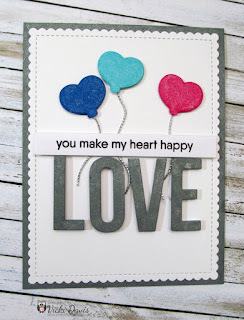 Vicki has added some silver cord and an endearing sentiment to finish off her Color CHallenge entry - so sweet! Be sure to give Color Challenge 76 a go yourself - there's still plenty of time to play along and we always love to see all of the ways you're inspired by the challenge! Thank you that you noticed my work!